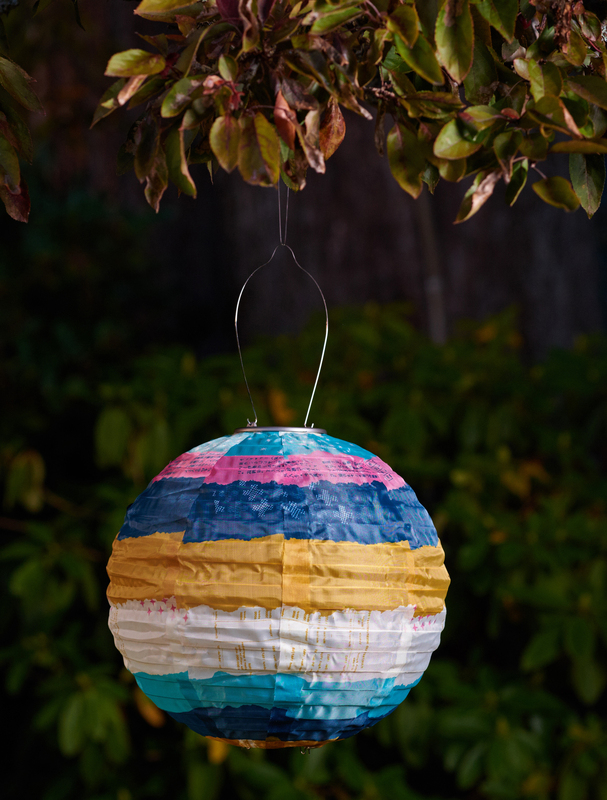 Colorful and tough, these nylon fabric outdoor lanterns are nothing like flimsy paper lanterns seen elsewhere. Designed to make a statement alone or to mix and match with other Soji Solar Lanterns. This 12x13x1.5 inch package contains one 12 inch nylon lantern, one AAA rechargeable battery, solar panel, dual white LED lights and stainless steel hardware. Designed for outdoor use. Imported. • Colorful And Tough, These Nylon Fabric Outdoor Lanterns Are Nothing Like Flimsy Paper Lanterns Seen Elsewhere. Designed To Make A Statement Alone Or To Mix And Match With Other Soji Solar Lanterns. This 12X13x1.5 Inch Package Contains One 12 Inch Nylon Lantern, One Aaa Rechargeable Battery, Solar Panel, Dual White Led Lights And Stainless Steel Hardware. Designed For Outdoor Use. Imported.